Kevin Dumouchelle, Associate Curator, Arts of Africa and the Pacific Islands at the Brooklyn Museum, visits the Clocktower to discuss the exhibition of Ghanian/Nigerian artist El Anatsui at the museum. 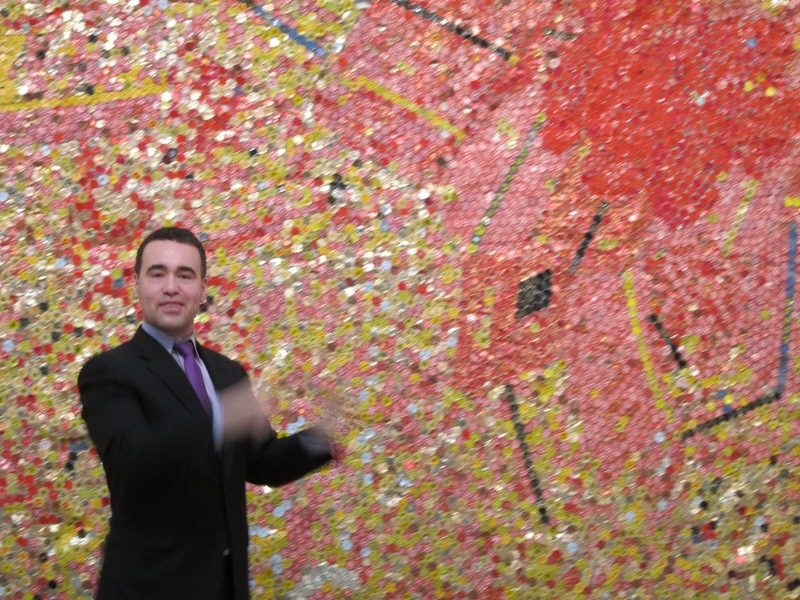 Dumouchelle talks about El Anatsui's background and his hands-off method of installing his massive iridescent swathes of woven bottle-tops and small bits of metal, which gives them a different appearance wherever they are hung. Corwin also quizzes the curator on the current art scene in Nigeria and various scenes throughout sub-Saharan Africa. Gravity and Grace: Monumental Works by El Anatsui is on display at the Brooklyn Museum through August 18, 2013.